What do VEX Robotics students and MegaBots have in common? Their passion for robots! 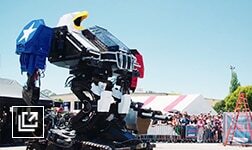 VEX Robotics 2017 High School World Champions Bryon Tjanaka and Dylon Tjanaka are invited to tour MegaBots lab to learn about how professionals are building robots, and see what it takes to have a robot building career. 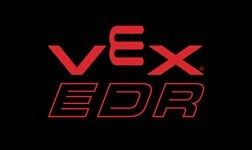 Software is available for all students, teachers/mentors, and schools associated with VEX Robotics. 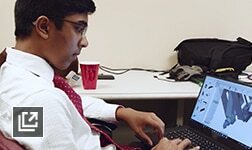 Connect with students, educators, and industry pros around the world who are passionate about robotics. Try these fun robotics projects and build skills. Download models and datasets for VEX IQ, VRC and VEX U; Check out learning videos, tutorials, and curriculum. Search for REC Foundation competition events, workshops and camps – and join today. 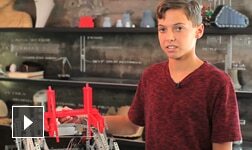 See how one VEX participant uses Autodesk software and 3D printing to design a better robot and propel his team to success. VEX participants and academic institutions worldwide get free* access to the same software used by today’s design professionals. 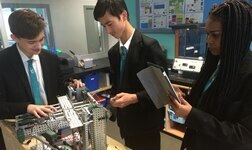 Teams can use digital design tools to enhance their work and save valuable project time, from documenting design ideas to using 3D CAD software to model and test robots before they are built. Click on each product below for instructions on how to download recommended software and apps for VEX. Integrated tool for collaborative product development. Autodesk® Fusion 360™ software is a cloud-based 3D CAD/CAM tool that helps teams explore design ideas and create models for 3D printing and machining. Quickly modify robot designs, create assemblies, produce photorealistic renderings, and fabricate the parts you need to succeed. Autodesk® Inventor® Professional software enables teams to produce 3D models that can help with the design, visualization, and simulation of the robot’s functionality. Autodesk® AutoCAD® software provides productivity tools to create designs and documentation to help teams progress quickly into the build stage. Sketch, paint, and illustrate digitally. Autodesk® SketchBook® software and mobile apps allow you to quickly create sketches and drawings to communicate ideas and document concepts for your Engineering notebook. 3D modeling software for games, film, and video content. Autodesk® 3ds Max® software is the ideal solution for the VRC Game Design Animation Challenge. Teams can build a game animation by creating 3D content and simulating game play using the modeling, rendering, and animation capabilities of 3ds Max. The Autodesk VEX Parts Library provides you with digital models of all the parts included in the VEX Classroom Kit in Autodesk Inventor. 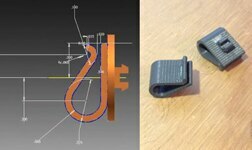 Datasets are available in Imperial and Metric units, and will work for Inventor version 2013 onward. These datasets can also be imported for use in Autodesk Fusion. Download and unzip these files to save your kit of parts. The download time is estimated at 5 minutes or less. Each lesson is designed for easy integration into a standard one-hour class. Includes both video and print tutorials, as well as VEX datasets to guide students through the engineering design process. VEX IQ for young learners using VEX IQ, a simplified snap-together robotics system. Start here. 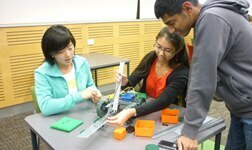 VEX EDR for high school learners using the comprehensive VEX EDR robotics system. Start here. 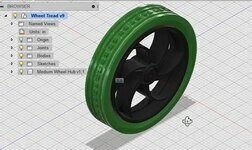 Learn to make a custom part with quick tutorials, videos and datasets – and then 3D print it. Designed for the REC Foundation online challenge, make a unique part to boost your robot’s potential today. 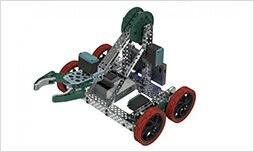 VEX IQ Clawbot: Take a look at what your Clawbot will look like after you complete the build. 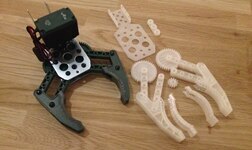 VEX IQ Armbot: Take a look at what your Armbot will look like after you complete the build. VEX IQ Ike: Take a look at what your Ike will look like after you complete the build. 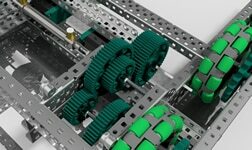 VEX IQ Linq: Take a look at what your Linq will look like after you complete the build. 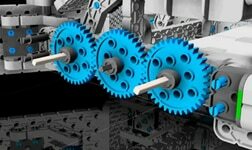 VEX IQ Slick: Take a look at what your Slick will look like after you complete the build. VEX IQ V-Rex: Take a look at what your V-Rex will look like after you complete the build. Autodesk software is integrated into nearly half of the units in the VEX EDR Curriculum, while detailed tutorials appear in Units 4 and 13. Unit 4 teaches teams to use Inventor to design and build their VEX robots, and Unit 13 shows how to use Fusion or Inventor to design, model, and 3D print custom robotics parts. 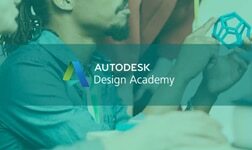 The Autodesk Design Academy features a constantly growing collection of lessons, projects and curriculum support materials that help educators teach students creative confidence in the world of design. Whether you are a mentor, teacher, or VEX Robotics team member – these recorded webinars will help you learn and teach how to use Autodesk software to design, document and test your robot, saving valuable build time.